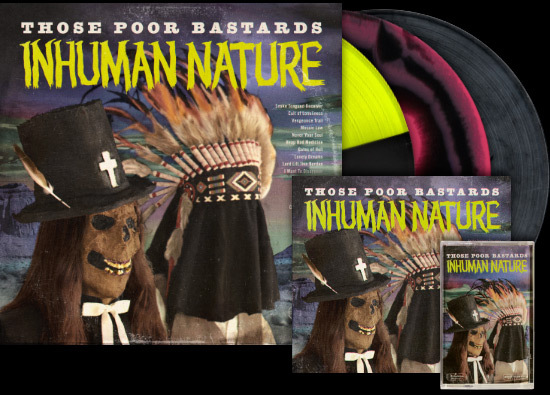 Today is the official release date for Those Poor Bastards new album “Inhuman Nature.” Come on over and get a cruel copy on limited edition vinyl, cassette, CD or digital download! Thanks to everyone who pre-ordered! We sure do appreciate it and hope this record brings you many days of hopeless pain. They’ve all been shipped and should appear in your blood stained claws very soon.